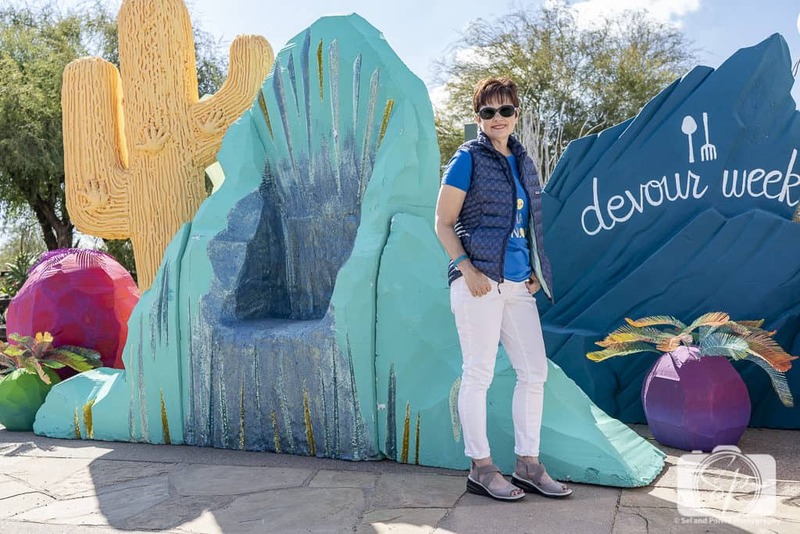 Me at the Devour Phoenix in the Desert Botanical Garden in Phoenix in my Jambu Lilly in taupe. The ultimate guide to Spring’s most versatile and best-looking shoe! Plus, these comfortable and adventurous shoes are PERFECT for travel! Spring has sprung! And you know what that means. Sunshine and flowers and chirping birds. And spring cleaning. The world is in a frenzy about making sure the things around them “spark joy.” (Even I was inspired to apply Marie Kondo’s principles to travel!). I can tell you that one thing that did not spark joy in my wardrobe was my shoes. My shoes were a cobbled-together collection of “San Francisco” shoes and hiking footwear, plus my kicks. 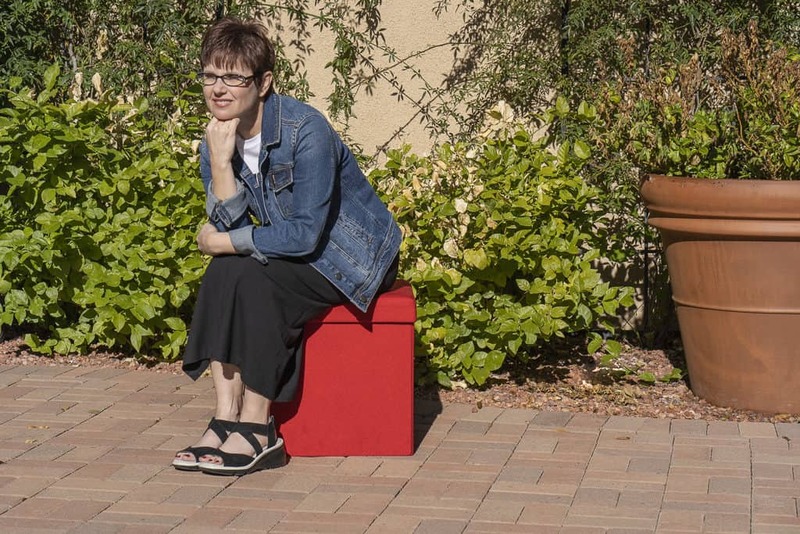 But as we get more indoctrinated into my life in the Southwest, I’ve found that they aren’t the right fit, color or materials for my life in Arizona. 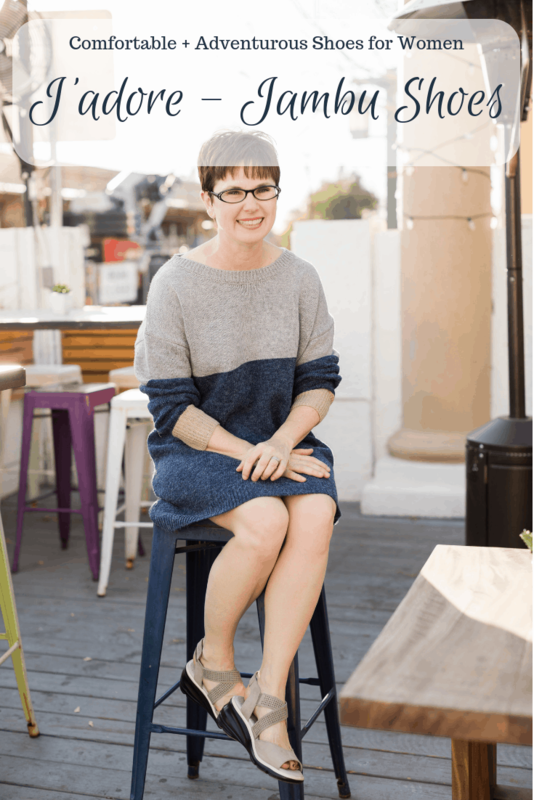 Jambu are the comfortable shoes for women I have ever worn! I selected 4 beautiful pairs of shoes from their new spring collection and I’ve been floating on a cloud ever since. I’ve worn them hanging out in downtown Chandler and Scottsdale, hiking, at a food festival and just doing everyday errands and I’m in love with how they make my feet feel. Usually comfortable doesn’t equal stylish but with Jambu that’s not the case. I’ve got form, function and fashion all rolled into one! The Jambu Lilly just personifies spring. They a very versatile pair of shoes that you can wear to work (I would have worn these in the spring and summer at my last job at the bank, currently my “day” shoe is a slipper since I work from home!) and out afterward. Shoes have always been the bane of my existence, I can put together a nice-looking outfit, but the shoes always screw it up in the end. They really make or break an outfit, more often than not, for me, they break it! But the Lilly has truly become the anchor of any outfit I have created recently, I am super minimalist and super low-maintenance, I don’t want to have to THINK about what I wear, put on my face or do with my hair, I just want it to work, and having Lilly in both black and taupe, I’ve got that now! I’ve only had 2 pairs of shoes in my life that ever got any compliments. I still have them, but they are the most uncomfortable pairs of shoes I’ve ever known. Seriously, made by the devil. Since I started sporting my Jambu Lilly shoes, it doesn’t matter which pair, I am getting compliments. This is a brand new experience and it is fun. I think Jambu needs to hire me, because I am advertising for them left and right, telling my friends and other travel bloggers how awesome, stylish and comfortable these babies are! Plus you’ve got the “Andi” factor, I need the non-slip (equals Andi doesn’t fall) All-Terra traction rubber outsole and memory foam insole. Many More Jambu Styles to Love! The new spring styles don’t stop with Lilly. Now that I have discovered just how comfortable these are, I had to try a few more! I live in a golf community and they take real good care of the grass, seriously I’ve never seen so many people dedicated to making something look so green and fluffy. So when the sun starts peeking out more often in the spring, it is all I can do to keep myself from napping and enjoying the blooming trees (the blooms don’t last long!) On this afternoon I’m wearing my Daisy sandals in black. They are a little bit dressier with the wonderful floral detailing which dresses up pants or pairs perfectly with a dress or skirt. I am not one for skinny heels when I want height I need something chunky. It is no accident my blog is called Misadventures with Andi, I am a total klutz and prefer not to tempt fate with heels that contribute to my lack of coordination. The heel on the Daisy is absolutely perfect for me. Despite having a heel I could be in these all day because of the memory foam insole and Jambu’s All-Terra outsole traction. These shoes also come in red, and it will not surprise you that I want those too! Really, really badly! My pair of Cherry Blossom shoes (along with my Sunkist in red) are my daily go-to shoes. Whereas before I would grab my kicks, now it is one or the other, depending on whether I am feeling plutôt (more like) red or blue (the vast majority of my wardrobe goes with one or the other, and these days if it doesn’t I grab my Lilly in taupe which basically does with everything!). I also love taking them out on the trail. I’m not exactly tip-toeing through the tulips here, let’s call it pausing in the poppies! (No poppies were crushed in the taking of this photo.) 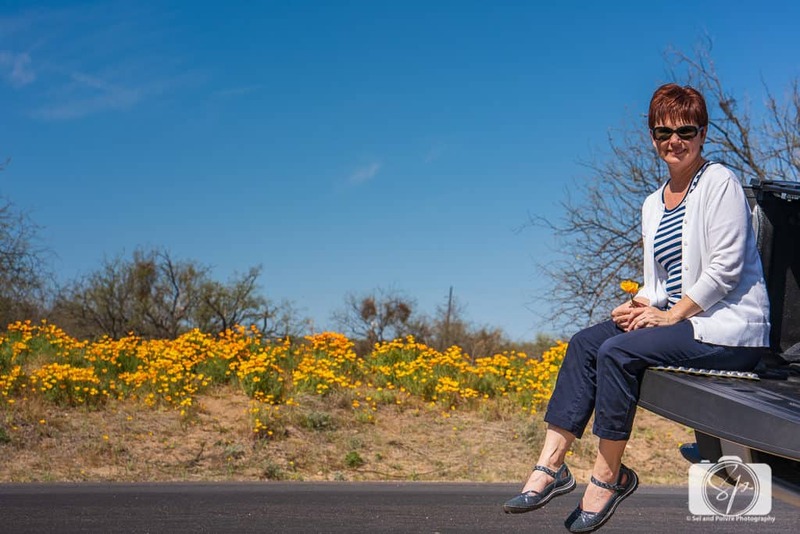 Arizona wildflowers are exploding and we have been chasing them every weekend in various spots like Picacho Peak State Park and Santa Catalina State Park near Tucson. We’ve been trying to get out every Sunday for a hike near our home. Lately, it’s been the Apache Wash Trail in the Sonoran Preserve – one hike was a couple of miles, but the other was 6 and my feet were just fine! This pair does have the All-Terra rubber outsoles and memory foam footbed. I can go from the trail to shopping back in the land of suburbia and not skip a beat. Did you grow up in a home where your Mom read Good Housekeeping? Me too. Shhh, I secretly read it too! 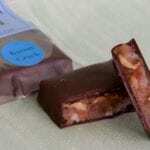 And was always fascinated by the products that received the Good Housekeeping’s seal of approval. Any product with this seal has been tested by GHRI staff and are backed by a two-year limited warranty! And these babies have got it! 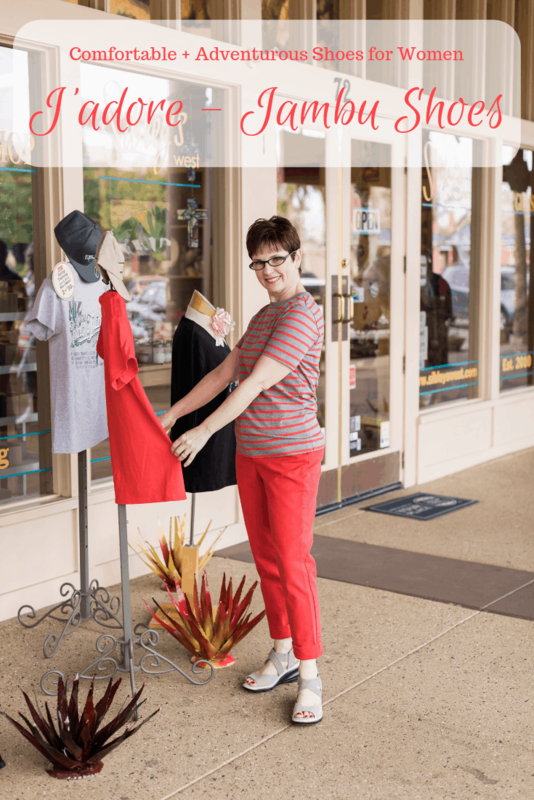 So whether you are headed out for a day of shopping, hitting some local trails, or catching date night with your honey, you will be able to go all day and all night with any of Jambu’s sandals or flats. Heck! You’ll be able to (spring it on baby (!) with any or all of the new arrivals! Jambu’s product features ensure that you can be adventurous as you want to be without sacrificing style or comfort. 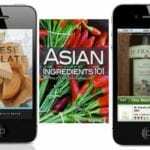 Look for these features while browsing their selections and choose what makes sense for you. All Terra Traction: Non-marking and partially recycled compressed rubber outsole for superior traction and durability. Memory Foam Footbed: Contoured Memory Foam Footbed for support and comfort. Water Resistant: Jambu’s SATRA certified water-resistant styles are made of materials which allow water to roll off the surface—just try not to get caught in a downpour! Waterproof: Jambu’s SATRA certified waterproof styles feature a breathable membrane that will keep your feet dry and warm in the worst winter conditions. Water Ready: Jambu’s Water Ready styles feature the use of water drainage ports and quick drying materials to help resist the penetration of water. Vegan: Jambu’s Vegan Designs use no animal products while providing the same comfort and quality standards. I’m heading to Brittany France in a few weeks and its weather is basically like the Pacific Northwest, so I’ll be looking at the water-resistant, waterproof and water ready models! I’ve got a pair of Zora in taupe and dusty blue that are waiting to be packed! 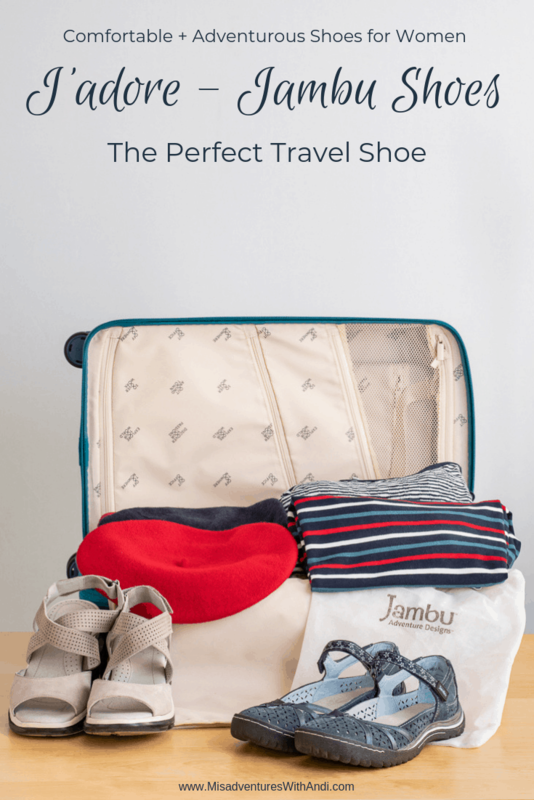 Jambu is the BEST travel shoe! 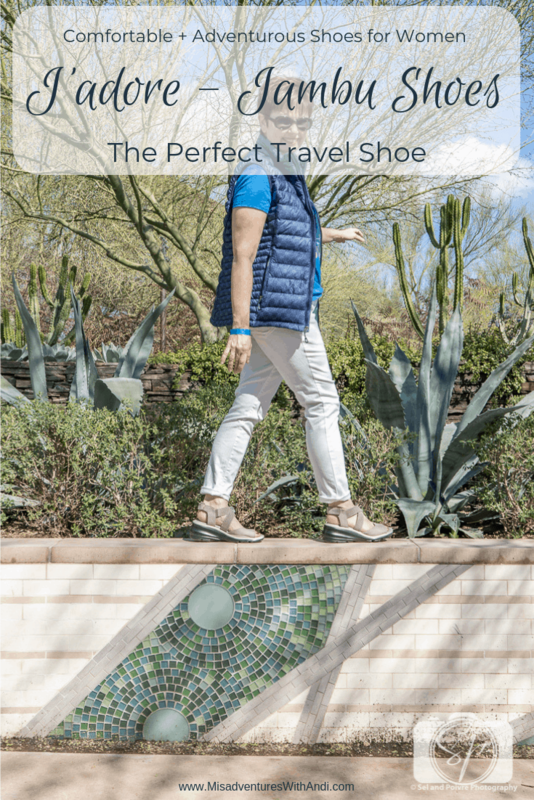 Versatility and comfort are the cornerstones of a good travel shoe, but there is one last critical characteristic that makes the Jambu shoes perfect, they are SUPER light. You don’t have to decide, “do I want my black Lillys or taupe?” Bring both! 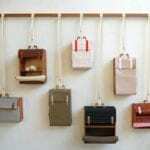 The shoes all come in their own individual shoe bags! They snuggle right into your bag like peas in a pod! 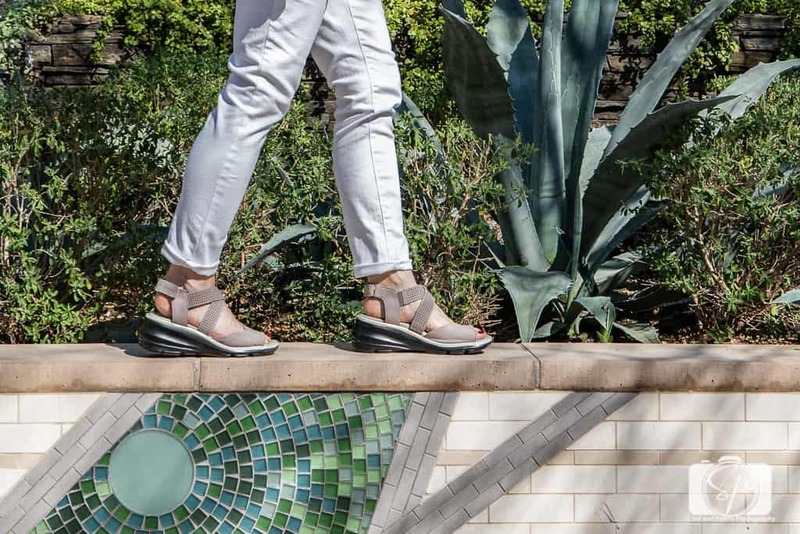 If you are looking for a spring break shoe, girlfriend getaway shoe, or an I’m-so-sick-of-winter-I-want-something-pretty shoe, then Jambu has the fun, seasonal, and most importantly comfortable footwear for you! You win too! 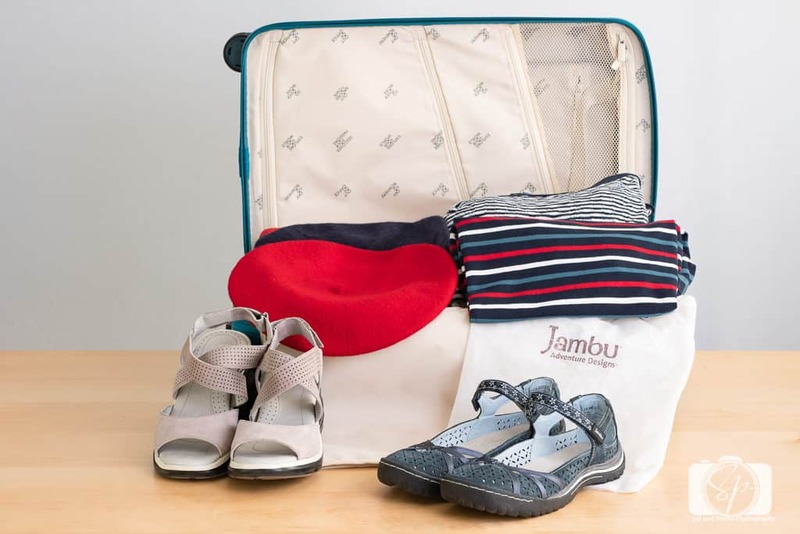 Jambu set me up with a discount code: MISADVENTURES19 valid through 4/30/19 for 15% off entire purchase on Jambu.com. You’re welcome! How about you? Are you up for spring adventures? What shoes will you be wearing? Have you tried Jambu? Do tell! Oh, wow! The Jambu shoes look TERRIFIC! I think finding a comfortable travel shoe that also looks great is such an amazing thing. 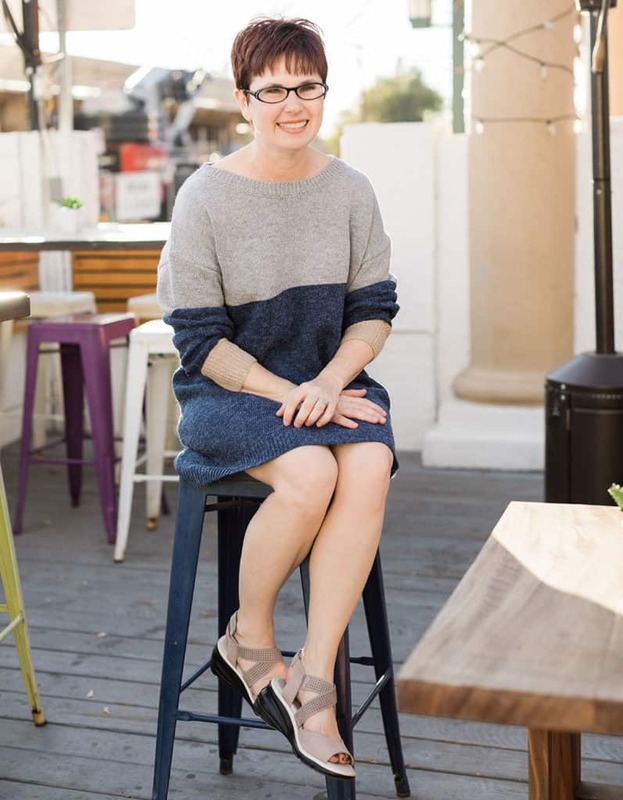 Women often put up with great discomfort for the sake of stylish shoes — but a traveler really cannot afford to do that. If you can’t walk, pretty ain’t gonna get you there. I have never heard of Jambu before, but I will definitely be using your discount code to try my first pair. I like the closed toe style. It looks so comfy and perfect for walking around now that it is Springtime. I need to get myself a pair of those shoes! I will be Jambuing soon. I bought two pairs. Thanks for the discount Andi. It’s so hard to find shoes that are both comfortable and stylish at the same time. I love how comfortable they look and I am a big fan of strappy designs. I just recently had my second foot surgery to remove ganglion cysts so I am rethinking my footwear. I hate foot jail of closed shoes but flip flops aren’t in my future. Jambu looks like they have some good solutions I need to look into. We love theme parks and spend a lot of time there as a family. The trick to being able to spend an entire day in a theme park is definitely your footwear. These shoes are all so cute, and look so comfortable. They’ll be perfect for our next family outing. You look super cute in those outfits! I love the shoes as well. I would totally wear them. Those wedges are so fashionable and stylish. It looks so comfy when worn. My mom would love that for sure. All of those Jambu shoes are super cute!! I can attest to the fact that shoes can make or break how well a trip goes. There are too many times that I’ve ended up throwing shoes away while I travel because they break or blister my feet, or just don’t cut it. I am always on the lookout for good walking shoes and I think now I’ve found them. Thanks for the discount! I need to treat myself to these this Spring. I still need to get me a pair of these shoes. I need to find a place around here that has them so I can try them on. I love that they are comfortable, classy and reasonably comfortable for traveling. I don’t know how a lot of these Instagrammers out there put these shoes on that look like you could wear them for 5 mintues and then be in a severe amount of pain. Did I hear memory foam? That’s one thing I’m looking for in shoes and *surprise surprise* not many shoes have that! I love the different styles and how easy it is to match with your outfit! I will need to look them up online!